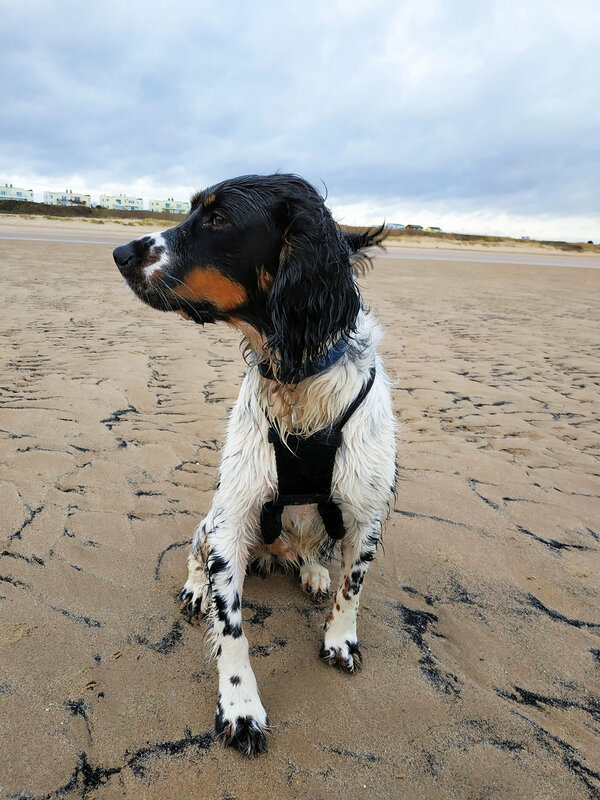 In 2018, before her second birthday, Willow was diagnosed with cruciate ligament disease. 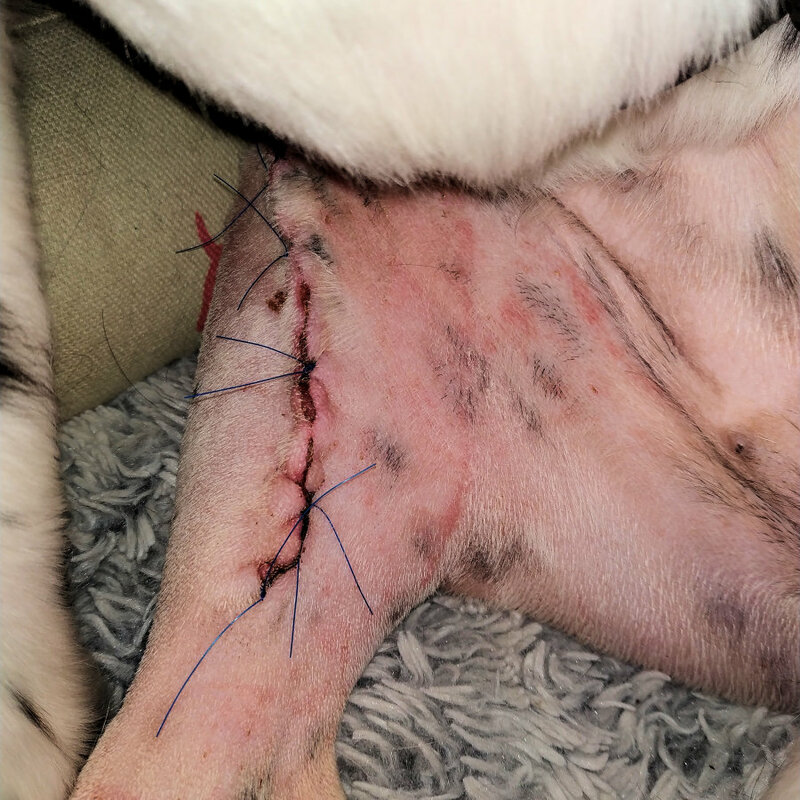 The information below represents a record of the corrective surgery which she went through in both back legs and the recovery process following each operation. As some of you may know, we are the proud owners of two Springer Spaniels, Willow and Mason, who are 18 months old as of 5th October. Both are indeed characters, and their energy levels keep us on our toes. However, recently following walks, Willow has developed a limp and struggled to get up. It was not every time she went out, and the intermittence of it initially suggested a muscle strain. The lameness would generally last about 24 hours, and while she didn't give any indication of pain, the way she carried herself suggested that she was in some discomfort. Also when in a sitting position, her legs were too far underneath of her and splayed out to the side, making it difficult to rise and get to her feet again. Initially, we asked the net to carry out some preliminary investigative work when she went for spaying at the end of July 2018. Due to the way she was sitting and her bouts of occasional lameness, we first suspected that she had a problem with her hips, so we asked for these to be X-rayed while she was under anaesthesia as part of the keyhole surgery we had booked. The X-rays didn't show anything abnormal, and for the next few weeks, there were no reoccurrences of the problems she had experienced. Towards the end of September 2018, she was back at the vets. We had been on a reasonably long walk, and afterwards, Willow was again showing some discomfort and when walking would do so with an arched back. The vet advised us to have some further X-rays done, concentrating on the areas of the knee, so we arranged an additional appointment for these to be carried out. I guess at 18 months you don't expect anything serious to be wrong. Although we knew something was not quite right, at such a young age, you want the problem to be something such as muscle strain or a ligament tear which will eventually resolve itself. The X-rays indicated something different. They showed that Willow has Degenerative Cruciate Disease in both her hind legs, with ruptures of the cranial cruciate ligament. When you hear something like this, it is a shock, and most of what the vet tells you doesn't really sink in. The only thing you take away is the word operation and prolonged recovery. To have the procedure in one leg is bad enough, but the thought of going through all this and then at a later date having a second operation to correct the other leg was overwhelming. The vet seemed to think that the left joint was the worst of the two, with a greater build-up of fluid and strain, and some early signs of arthritis. It was, therefore, decided that this should be the one operated on first. Willow's pre-op X-rays are shown below. If you click on the relevant image you can see the X-ray in greater detail. For those of you who don't know, the cranial cruciate ligament is one of several ligaments which are part of the knee structure and provides stability to the joint. It is analogous to the anterior cruciate ligament (ACL) in humans. 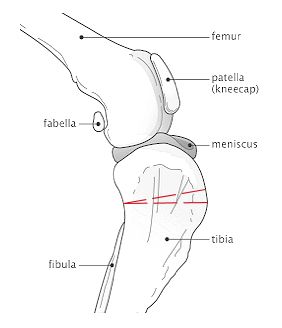 This condition is the result of the angle of the tibial plateau becoming sloped too far back, so there is a constant stress on the cranial cruciate ligament. Rupture of this ligament can damage other parts of the knee leading to further damage to the knee and cause further pain. 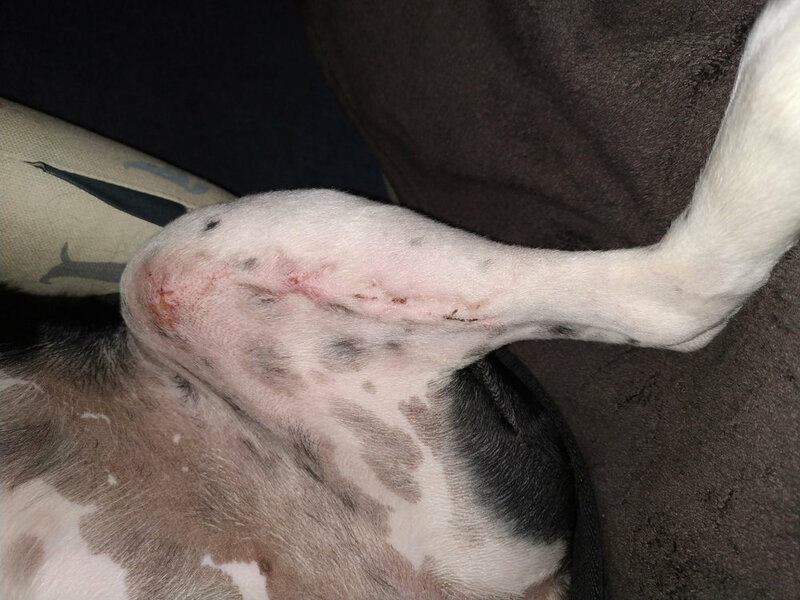 To treat this, Willow will undergo a surgical technique called Tibial Plateau Levelling Osteotomy (TPLO), which involves a radial cut of the tibia which is them rotated to change the angle of the joint, effectively leveling the tibial plateau. The parts of the bone are fixed into this new position using a special bone plate and screws. This procedure eliminates abnormal motion and provides greater stability of the knee. An outline of the steps involved during the operation can be seen below. The vet also mentioned that he would probably add a suture, called a fabello-tibial tuberosity suture, which offers additionl support. Although not in constant pain, we felt that it would be better to have the operation carried out at a young age as delaying the treatment can lead to chronic progressive arthritis in the stifle. The surgery also has a very good success rate with the dog regaining full mobility after a few months and eventually being able to carry out strenuous exercise. We are aware that some of our customers' pets have experienced this condition and have used our Advanced Joint Support as part of a plan to maintain health and mobility. Willow is also taking the supplement and will continue to do so as the time passes. We thought it might be useful to record her progress as she undergoes major surgery and through her recovery but we also felt it was important to share our story of managing this whole situation. Life over the next six months is not going to be easy for any of us. Apart from the surgery itself, one leg at a time, there will how to manage her - keeping her calm, keeping her confined and limiting her movement, being super strict with her diet so that she does not gain any weight and keeping her mind occupied. Then there is her interaction with Mason and his energy; there'll be no more chasing each other or wrestling that they both enjoy. Though we are devastated that Willow has to go through something like this, especially at such a young age, we hope that by sharing our story some good can come out of this which might help others who are unfortunate to be in a similar position. We would also like to hear from other owners who have experienced this and what worked for them following the operation and during the period of rehabilitation. You can expand the relevant sections below to see the full details. 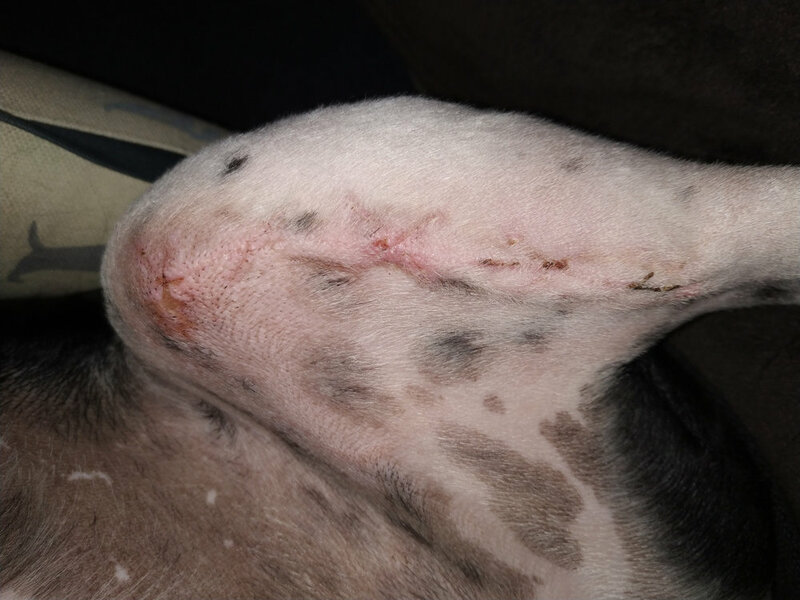 While the TPLO surgery might be fairly routine, it is a major operation and the rehabilitation period looks to be a little more challenging from all the research we have conducted so far. Willow will have her first operation done on the 15 October, so the upcoming week is all about preparing for this. Firstly, there are going to have to be changes in work patterns and environments for someone to be on hand in case there are any difficulties and to monitor her behaviour. Experience has shown us that she isn't a good patient, she cries a lot and struggles to settle down when she doesn't feel herself. Maybe she'll surprise us, and everything will go smoothly, but it's best to try to prepare for every eventuality. Then there are the practical things. The purchase of a baby/pet gate to limit her space but also so that if necessary, we can separate the two dogs, allowing Mason to have free movement about the house. Moving furniture around so that she can't do her usual jumping around. These changes have also included moving her crate so that we can access her easier when it comes to playing some crate games and keeping her entertained. We are also testing out a snuffle mat that we are considering adding to our product range. We have learnt that Willow definitely doesn't like any sort of change. Even the moving of her crate has caused her much confusion; when we tell her to go to her den, she runs to where it used to be, spins around a couple of times and then looks to us as if to say, "where the hell is it?" This is the exact reason why we have moved it a week before the operation; we want to create a new routine for her that she is happy with and get accustomed to. We don't want to add stress to what will be already a drug confused mind when she returns home after her operation. The vet advised us that in the build-up to the operation we should limit the amount of exercise Willow had and stop her putting too much strain on her back joints. We were also given some painkillers but didn't use these as she wasn't showing any signs of pain or discomfort. We did, however, stop her from doing some of the usual things which she enjoys. When she has been play fighting with Mason, she sometimes gets a bit too excited and starts to run at full speed around the room on a circular route. She jumps on or over any furniture in her way and purposely runs closely passed Mason to try and get him to chase her. When she does this, we say she has gone Bonsai, and it usually continues for a few minutes until she starts to get tired. We didn't want her doing things such as this so when we say that she was starting to reach this state, we tried to calm her down or distracted her. We now realise how difficult it is going to be to keep Willow on minimal exercise for a prolonged period. This morning she has been running around with Mason as full speed jumping over obstacles and rolling around play fighting. She has never been one for sitting still, in fact, she can't sit still for two minutes. The slightest noise and she wants to know what it is and will be up to investigate. I think she will be spending a lot of time confined to her crate or on the lead. Will also need to keep her separated from her brother Mason as much as possible as when they are together; chaos seems to reign. Not entirely sure how much movement she will have in her leg once she has had her operation but wanted to try and make things as easy as possible for getting her in and out of the house so she can go to the toilet. At our back door, we have a couple of steps going into the garden so wanted to build a ramp to negate the obstacle. We looked at a couple on Amazon, but these were not really suitable as they were too big, seemed quite flimsy, or were extremely expensive for a temporary solution. We have quite a bit of spare wood so constructed something suitable which would help to get Willow in and out of the house. To give her more grip when on the slope, I covered the plywood with an off-cut of carpet which we have had for several years. I had a little help from Mason while building the ramp if you can call stealing off-cuts of carpet and bits of cardboard from the garage help. He did, however, do some quality control testing and checked to make sure no trolls were hiding underneath, so it would be safe for his sister to use. We have never felt so bad in our lives taking Willow to the vets. While we know that we are doing the right thing and that in the long term Willow is going to benefit hugely from these two operations, the guilt we felt when dropping her off at the vets was immense. She has no idea what was going on or what was about to happen. One minute Willow was running around the house at full speed, quickly followed by a real rough and tumble play fight with her brother, less than an hour later she is at the vets, shaking like a leaf. In her mind, I'm sure she probably didn't realise there was anything wrong with her legs because it didn't really stop her from doing the kind of things she enjoyed. Hopefully, this is not something she will not hold against us. Our appointment was at 8:00 am, so we set off early to avoid the motorway traffic and arrived there a little early. Willow was reluctant to go through the door into the vets. She had recently gone to be spayed and a couple of weeks before had to go in for her exploratory X-rays. It doesn't take long for an animal to grow to hate the vets. We had a short consultation with the vet, where he did a few tests, such as listening to her heart, and we filled in the usual pre-operative paperwork. I hereby give my consent for the procedures outlined opposite; I confirm that my pet has not eaten for 12 hours, etc., etc. The plan is to operate on the left joint today and for Willow to stay at the vets until tomorrow evening. We were told we could call between 3:00 pm and 4:00 pm to see how the operation went. I managed to get a copy of the X-rays taken before and after the operation, which can be seen below. All of these can be clicked on to see the image in more detail. The initial image shows a pre-operative X-ray which was taken to accurately calculate the corrective angle required to level the tibial plateau, while the other two show post-operative X-rays with the special plate in place. It should be mentioned, that the operation carried out was slightly different from the one described above. This alternative technique called a tibial wedge osteotomy (TWO) involves removing a wedge of bone from the front of the tibia and closing the gap with the aide of a wire loop. As with the more common type of procedure, this alters the angle of the joint and means that the cranial cruciate ligament is no longer required. As with the other kind of corrective procedure, a bone plate and screws are then used to immobilise the cut in the bone until it is fully healed. Click on X-rays to show them in more detail. An X-ray is taken before the operation in order to calculate the angle the bone needs to be cut in order to level the tibial plateau. If you look at the first X-ray above you can see a series of lines superimposed on the image in order to make this calculation. I have included a YouTube video below which explains one method which can be used for carrying out this calculation. After calling at 3:00 pm, we were told that she had just gone into recovery and was very sleepy. The operation had gone well, and she was on an intravenous drip to administer a painkiller. They were going to try her on some food latter and eventually take her off the drip and start with painkillers in a tablet form to prepare her for coming home the next day. At around 9:00 pm we had a call from the vet who carried out the operation. He confirmed that the surgery had gone well and the joint looked to be in good condition with no damage to the cartilage. The cranial cruciate ligament was not torn completely or separated from the bone but would have gone this way if left untreated. Since the operation carried out negates the need for this fibrous connective tissue this was cut and removed. We had an update from one of the nurses in the morning to say that Willow had a comfortable night and was able to come home this evening. When we got there, later in the day, and went in to see the vet, he ran through the pre and post-operative X-rays he had taken, and the medication she would needing to get her over the procedure. Rimadyl - this is a very commonly used non-steroidal anti-inflammatory drug (NSAID) designed to relieve pain and inflammation. Rimadyl can cause various side effects in some dogs, including decreasing appetite, vomiting, and diarrhoea. I remember neither of our last two dogs could use the drug and became really sick. Luckily Willow seems to be alright taking it and doesn't cause any problems with her. Pardale-V - this is a prescription-only canine painkiller similar to Paracetamol and is used in veterinary medicine for dealing with acute pain. Clavaseptin - this is a broad spectrum antibiotic designed to prevent the wound from being infected. It is a commonly used treatment of periodontal infections in dogs and skin infections in cats. When our pets have to stay in the vets for any length of time, all you can think about is getting them back home. When they do get home, however, you come to realise how much hard work it is going to be looking after them. Willow has to stay in her crate for three weeks and can only come out for the toilet. When she came out of the vets to go home, she seemed to be using her leg reasonable well considering that it had been broken in two only the day before and had no pot, bandage, or another type of support in place. I think this must have been a desperate act to escape the vets considering what they had done to her, as when she got home she was much more reluctant to use it. The plan was to lead her into the back garden so she could relieve herself and then put her in her crate for a couple of hours until she was due to take her next lot of tablets. As the Rimadyl in particular needs to be taken with food, we were also planning on giving her some dinner as well as we are not sure when she had her last meal at the vets. Unfortunately, when we took her into the back garden, she wouldn't do anything and was very reluctant to walk at all. She would walk forward one step and then turn around quickly to try and lick her leg. We ended up moving her straight into the crate, and she eventually went to sleep. We did put on her something called a Comfy Cone, which is an alternative to the usual hard plastic Elizabethan collar, designed to help protect animals from aggravating the wound during their recovery. We have used this one on Willow before, and the design is flexible as it is manufactured from soft fabric and she doesn't seem to mind it too much. The main problem with this was the size. The one we had was kind of small and in most cases would have been fine; however, in this case, she was just able to reach the area where the procedure was done. There was some protection on the wound in the form of an adhesive surgical dressing, so she was not able to get to the stitches. We did, however, order a similar cone which was a larger size. This is the type of protective cone which we are using for Willow. It is made from nylon fabric laminated onto foam, so is soft and yielding, and generally allows greater comfort to your pet. As it is not rigid plastic, associated with the traditional design of Elizabethan collar, its design conforms to doorways, and other openings for unobstructed freedom of movement. We give her some food at around 9:00 pm. She had some sardines, which are a great source of calcium, together with the other bone-strengthening mineral, vitamin D so ideal to help with her recovery. They are also a great food to hide away a series of tablets and joint supplement. We took her out once again but it was a real struggle as she didn't want to use her leg at all. The only way she would move was to lead her out with a tempting treat which made her forget about her injury for a little time at least. It was a real two person job with one person holding the lead and trying to support her, whilst the other person moved forward with treats. Again it was a wasted trip as she wouldn't do anything again so it was back to her crate for the night. Willow has a bit of a track record when it comes to holding onto the contents of her bladder. When she was spayed, and we brought her home, it was about 24 hours before she eventually decided to relieved herself. I slept at the side of her create overnight to make sure she was alright, and she seemed to sleep well once she had got herself into a comfortable position. We leaded Willow out again in the morning but again didn't want to do anything. She eventually laid down on the cold flagstones and refused to move. It was a case again of leading her using treats back to her crate. She was not moving particularly well again moving a one or two steps forward and then turning quickly to try and lick her wound. When they are spending so much time in their crate it is important that they continue to get plenty of water. We have a portable collapsible bowl made from silicone, which we use when they go out for a walk, so it is easier to use this rather than trying to drink from their usual bowl when you are taking them out into the garden so they can go to the toilet. The wound could not be seen very well because of the adhesive dressing, but the whole area around it was very swollen. Some people have reported that after similar operations they have seen significant bruising after two or three days, but this has not been the case with Willow. At around 4:00 pm she stood up in her crate and started to cry and bark, so we took her outside again, and finally, she emptied the contents of her bladder. This was almost 24 hours since we collected her from the vets so not sure the last time she actually went. She has been a lot better in the crate than we expected. She usually doesn't spend a lot of time in there, only when we are having a meal or if the fighting with Mason starts to get a bit out of control. She has slept quite a lot, and when awake we have given her a cube to play with which contains small pieces of carrot. This at least gives her some positive stimulation while in the crate and using carrot instead of some form of kibble means that she is not overeating. This is a good place to mention Willow's diet. Obviously, if your dog is much less active than usual, it is essential to cut down on their food intake as they are burning much fewer calories. We have been introducing some other types of food to feed her, mainly ones to help fill her up, without adding loads of extra calories, and ones which are a good source of calcium or help to build bone density. One of the things we had, were some bones which we had bought for the two dogs and put in the freezer so decided to use these to make some bone broth. We allowed the bones to thaw fully and then put them in a pan covering them with water. They were then covered with a lid and brought to the boil. Once up to temperature we turned this down and allowed the bones to simmer for a couple of hours. After this time we removed the bones and let the liquid cool. Once cool a layer of fat forms on the top of the liquid, and we disposed of this. We decided to read how to make bone broth after we had made our attempt and there are a few things we should have done differently. It helps to add apple cider vinegar or some lemon juice to the bones as this helps to draw out the nutrients, and the bones also need to be boiled for much longer than we did. Something else we have been giving her is broccoli which is a good source of calcium. While watching Willow walk it was obvious that something wasn't quite right with her turning around after each step. We had a good look at her leg, and we were thinking that the adhesive dressing may be causing some issues. It looked that to be very tight and while walking was possibly pulling on the skin making matters worse. Additionally, in some places around the edge of the dressing, the skin was quite red as though it was rubbing in places. We were due to go to the vets again on 19 October but decided to try and get her seen today and see if they could remove the dressing. The adhesive part of the dressing was attached to the skin very firmly, and we were wondering how on earth this was going to be removed. We had visions of them grabbing one end and quickly ripping this off as though waxing her leg, but thought they must have some better solution for dealing with removing things like this. We had an evening appointment at 06:00 pm to see the vet. We put her in the back of the car on a folded quilt, and I sat on the back seat and stroked her to stop her from moving about too much. On arrival at the vets, it was clear she was not too keen to go in. I lifted her out of the car and carefully placed her on the ground, but she wouldn't move and was sat rigid. Eventually, I had to concede defeat and carry her into the surgery. Doing this may have been a good idea anyway, considering the slippery surface in the vets. The worry about removing the dressing was unfounded, as they had a solvent spray which once applied allowed it to peel off with ease. The actual wound looked well with five stitches in place but it is still very swollen. 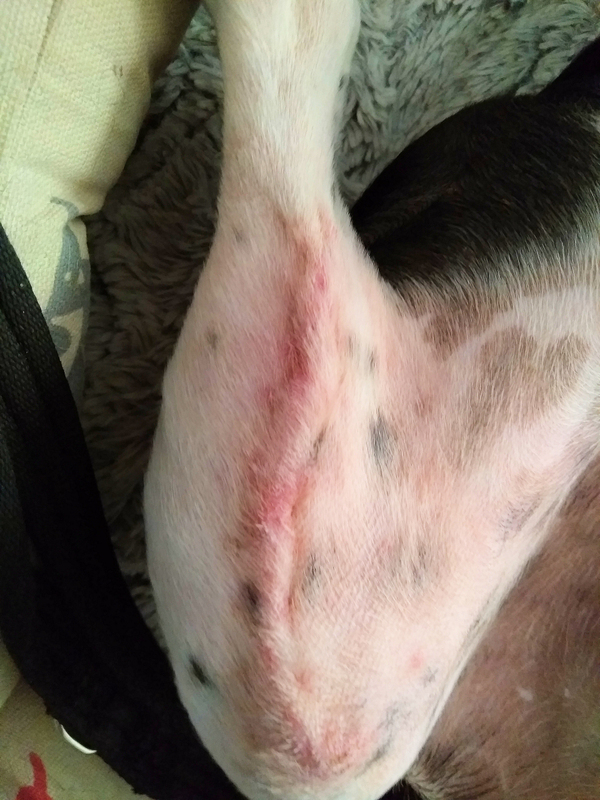 There was a bit of a rash caused by the dressing, but we have, since going to the vets, being treating this with Sudocrem, which is an antiseptic cream. With the wound exposed, we decided to switch to her larger collar so she couldn't get to her stitches. This caused a slight problem as she was not able to turn around easily as the edge of the collar kept getting stuck on the bars of the crate. We decided to move her to Mason's crate which is a larger size and was initially purchased to hold them both when they were younger. It has caused a bit of confusion to both dogs but is only a tempory measure until she has her stitches removed which is due 26 October. The swelling on the leg has not really changed any since the time of the operation, and is still substantial. Although the wound looks to be fine, there has been a little discharge from the top section of it. This is a clear thin fluid, not a thick yellow, or greenish coloured purulent cloudy secretion normally associated with infection, so not really concerned. 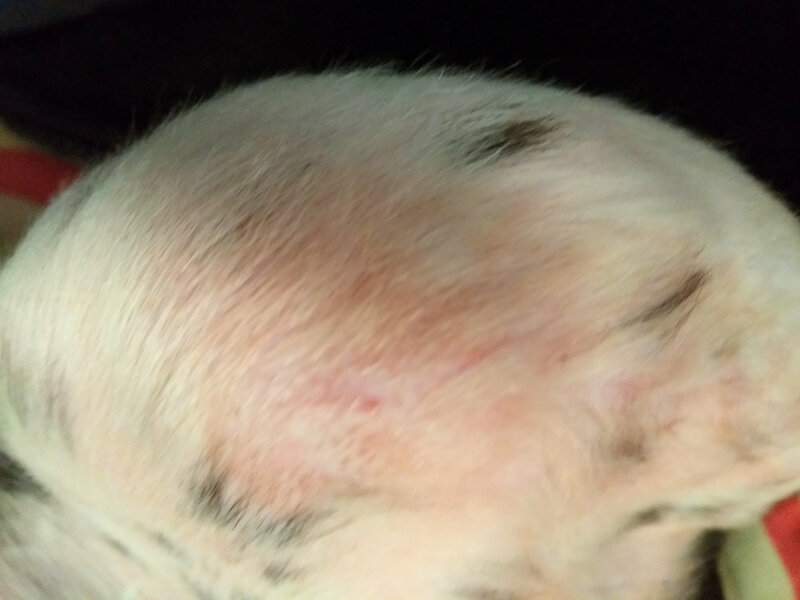 We also noticed that some bruising had developed on the top of the inner leg, which can be seen in the image below. Willow was starting to get a bit fed up been confined to her crate for most of the day. Late in the evening, she had a bit of a reprieve, and we let her out of the crate for an hour or so. We had to make sure that she didn't move about too much so we took her soft basket with me and my wife at either side and got her to lay down in that. We also had her on a tight lead so she couldn't suddenly dart off. One of the things she like to do is jump on things and get into an elevated position. A couple of times she has tried to do this by getting on a bench in the garden and on the sofa while she is walking passed it. She seemed to enjoy all the attention she was getting, adopting her favourite sleeping position, on her back. She was reasonably relaxed but was kicking her poorly left leg out every now and again, possibly through irritation from the stitches, so had to be careful that she didn't catch this on anything. Willow hasn't been drinking too much over the past couple of days, and with having two dogs, it is difficult to try and gauge what her normal daily intake of fluid is. We decided to give her a little milk to keep her hydrated as this is something we know she will drink straight off. It should be noted that some dogs can have difficulties digesting lactose, a natural sugar found in dairy products. This intolerance is due to some dogs being unable to produce a sufficient amount of enzyme called lactase to break down the lactose. Willow doesn't seem to have any side effects with having small amounts of milk. Willow has also been getting some fluids from her meals, as we have been adding a little of the bone broth we previously made to it. Willow's walking has been a lot better today, and she has been trying to move around in her usual manner at 100 mph. To try and slow her down we have been walking her outside with someone in front of her, but she is still determined to be the first one out of the day. She is also starting to put more weight onto her injured leg and has begun to jump up at the outside fence and when you have some form of treat in your hand. We have obviously been trying to minimise this as we don't want any complications to the healing process. We have been trying to continue to get more fluids into her, and as well as a little milk, we have tried her on a product called Aptus Sport X, which contains natural essential minerals and salts. These electrolytes are designed to rehydrate, but that is if you can actually get your dog to drink it. We used to use a similar product on our previous dogs, and they thought it was some special treat. We would mix it in water and fill their bowl, and in no time at all, it was gone. Willow wasn't too keen, and although she drank a little, it was a bit disappointing that she didn't seem to enjoy it so much. We tried her with a new toy today to attempt to entertain her for a while. This was a square of silicone with a raised pattern on it and is called a dispensing mat feeder or lick mat. The idea is that you smear some food on it, and the dog will then lick the mat to get to it. You can add foods such as peanut butter, natural yoghurt, and you can even freeze the treats onto the feeder before using it to make it last even longer. Since the mat has a raised pattern design, this catches the food and makes it harder for your dog to consume the treat you have used. We used some tinned sardines along with a bit of spreading cheese, and she seemed to enjoy this, with the activity lasting around ten minutes. We have ordered some more of these with different patterns and will try them out again later freezing them with some natural yoghurt. 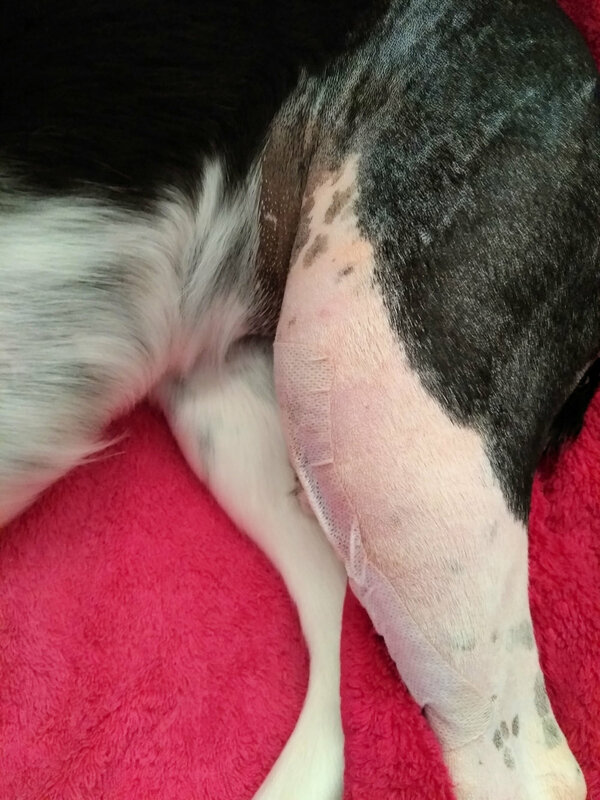 It has now been a week since Willow had the surgery on her left leg. I think things have been a little easier than I originally anticipated and Willow has been progressing well. We have been advised by the vet to keep Willow in a crate for three weeks and not to let her do anything regarding exercise during this period, other than going outside for the toilet. I certainly think that Willow could do some light exercise even after a week, but we don't want to jeopardise her recovery so we are following the instructions we were given to the letter. She seems to be able to put her full weight down on her injured leg, and only occasionally lifts it off the ground as if it is causing her some discomfort. She no longer needs to take the antibiotic Clavaseptic, and the painkiller Pardale-V and her dose of Rimadyl has been cut by half, with Willow taking one tablet twice a day. Throughout the week she hasn't really shown any signs of pain and apart from the first couple of days has been walking on the leg fine, only occasionally lifting it off the ground. The main problem with during the first day or so was the adhesive dressing pulling at the skin, so she may have done better if this had not been used. 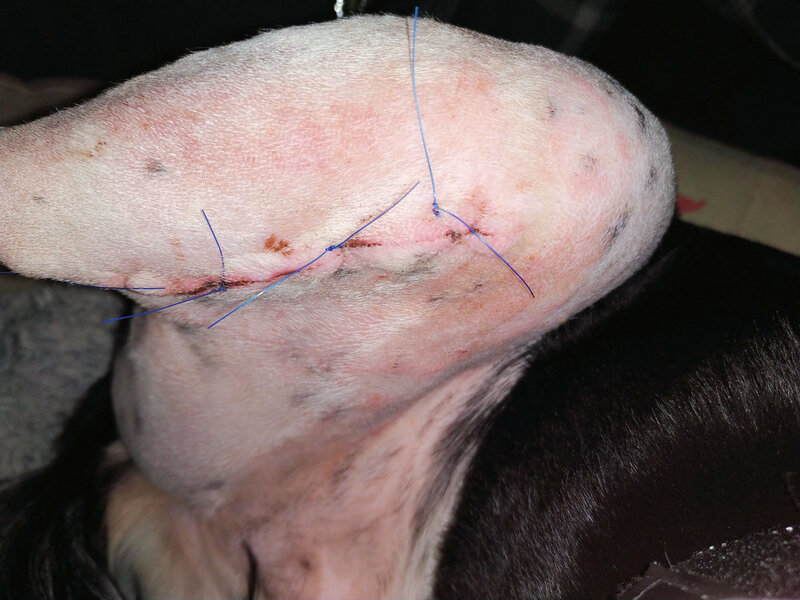 One of the things we were anxious about when considering this kind of surgery was how it would affect both our dogs. Willow would have to spend long periods of time locked in her crate with little exercise, while Mason would be without his fighting buddy and would have to forego his usual daily routine of chasing Willow round the house and wrestling on the carpet. I have been so proud of them both over the last week as they have done far better than I thought they would. Willow has settled well into her long periods of inactivity, and although we try to keep her mentally stimulated at least with a few games, and open the crate up as much as possible to make a fuss of her and give her attention, I can't imagine that she is too happy. The crate has been a godsend, and I hate to think how we would have coped if we didn't have it. They have never spent too much time in their crate and is used only during our mealtimes, when the dogs are becoming too excitable while play fighting, or if we go out for an hour or so. Before the surgery, we got each dog a memory foam bed for their crate, and in the week leading up to the operation, both dogs would sometimes sleep in their cage by choice with the door wide open. Mason has really grown up over the past week and apart from going up to see her every now and again, through the bars of the crate, has mostly left her in peace. He has either played on his own or with one of us, and we have tried to include him in the games we set out for Willow. We have duplicated the toys and activities we have been attempting with Willow, so this also keeps Mason occupied and out of trouble. A couple of times Willow has growled a little at Mason as he has approached her crate, but I think that during these times she is just bored and wants to be out and about with him. Over the long hot Summer, Willow became a real outdoor dog and enjoyed sitting on the drive on a seat we have out there. This I think she has missed, as even though the temperatures have dropped significantly, she still wanted to spend extended periods of time outside right up until the time of her operation. During the first week, there was quite a bit of swelling to the leg, and this didn't start to recede until after around seven days. It is difficult from the images to try and gauge the level of swelling, as this is mainly on the outside section of the leg on the upper and lower thigh down to the hock. I did think it was much better today, almost back to normal, but after having a proper look this afternoon, this is not the case, and there are still signs of inflammation. The wound looks to be healing well, and the bruising that did appear on the inner leg has mostly gone now, apart from on the knee joint, at the top of where the incision was initially made. This section of the limb is also a little red. We did fear that it was possibly becoming infected, but there were no other symptoms which supported this. Usually with an infection to the wound, along with the red skin, the area will generally be warm to the touch, will have a discharge of pus, and can often have a foul odour. 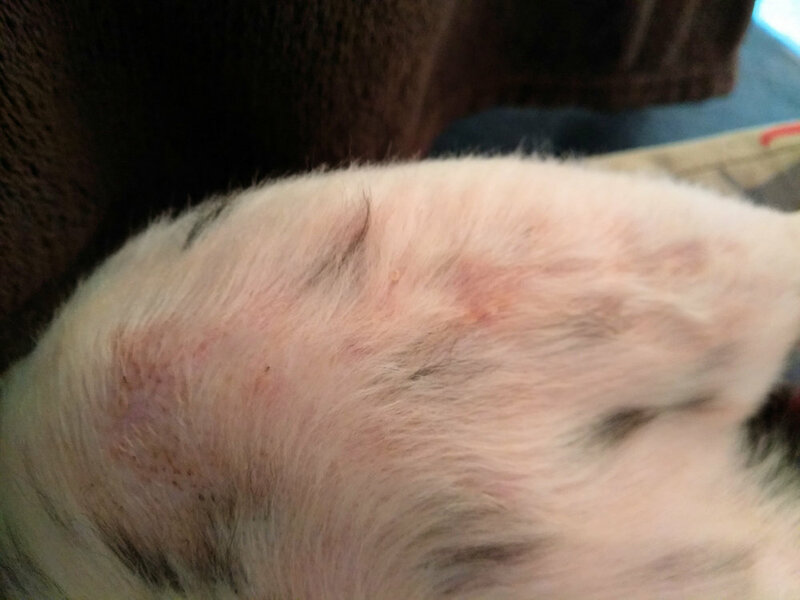 The site of infection also tends to get worse as time goes on, whereas Willow's has stayed pretty much the same since it first appeared a couple of days ago. The redness may coincidentally be partly due to the cone she is wearing, as we have noticed that when she tries to lick the wound, the edge of the cone rubs in the area in question. It looks worse than it is because of some localised bruising which is also present. The wound has caused Willow a lot of irritation over the last day or so. As well as the stitches tightening, as the skin heals, the fur on the leg has also started to grow back. Willow has over the past couple of days has also been having some issues with her left ear. This is a little red at the moment and was a bit dirty, but we have been cleaning it out when she comes out of her crate. This could be due to the ears been tucked inside the cone for long periods of time creating a moist environment with little to no airflow. This is the perfect environment for things such as yeast infections so care must be taken if your dog is susceptible to these. This has caused some irritation to Willow, and she wants to shake her head when we are taking her outside, which means that her whole body is moving, putting a bit of extra strain on her poorly leg. We had a call late yesterday evening from the receptionist at the vets to ask us if we could change our scheduled appointment to today. This was originally due to take place on Friday and was so Willow could have her stitches removed. This wasn't really a problem and thought it would be better for Willow to have these removed sooner than later. On the day she had the operation, her weight was 18.8 kg. While we were visiting the vets, we thought we would recheck this to make sure she wasn't putting on a load of additional weight from her inactivity. Her weight today was 18.9 kg, so we were quite pleased with that, and the reduction in food during her meals seemed to be helping to keep off the excess pounds. The vet examined Willow's leg and attempted to gauge the range of movement which she had by flexing and extending the operated knee. He also watched her walk around to check her gait and see if she was using the leg correctly. He seemed happy with her progress and said that we needed to continue restricting her movement, for around another ten to eleven days, by keeping her confined to her crate. After this time we could then start to do a small amount of exercise walking her to the end of the street and back, and then slowly building this up. We have also made an appointment for next Thursday to see a physiotherapist at the vets so she can show us some daily exercises to do with Willow to build up strength and getting the leg back to normal. I have taken a couple of images of the wound, with the stitches removed. This looks to have healed well, but there are a few areas, namely where the top three stitches were, which are a little red and sore looking. The top part of the wound in particular looks like it may take some time to recover fully. The skin where the incision was made appears very raised at the moment so I hope this eventually sorts itself out once the leg is fully healed. The vet said to keep a close eye on her movement during the next few weeks. He said if an infection does take hold then she will stop using the leg properly, and we need to take her back to the surgery as soon as possible to start her on some strong antibiotics. 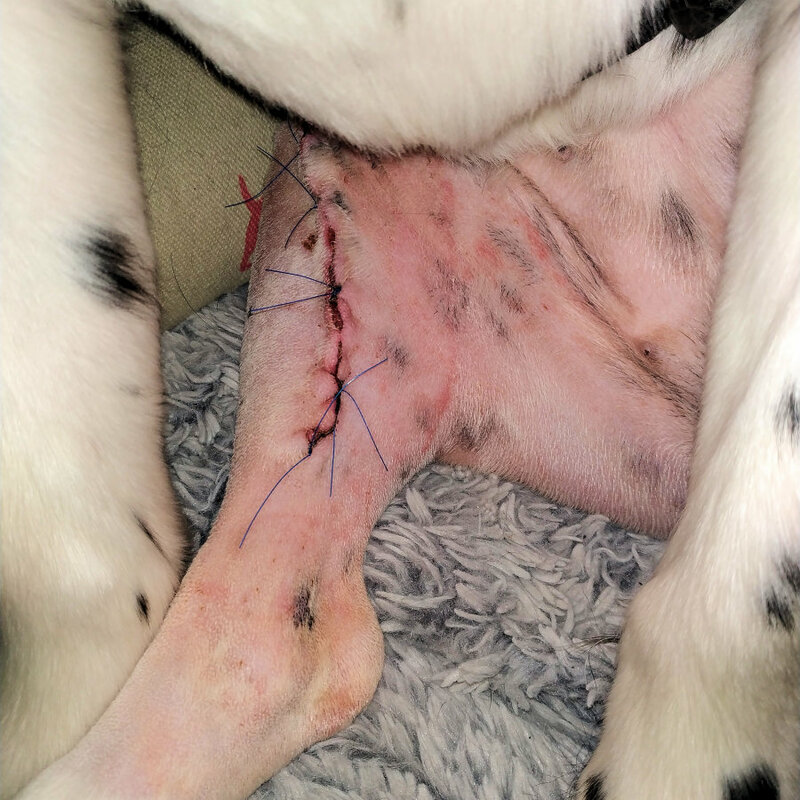 It was said that often people think that their dog has slightly injured their leg after the operation and don't visit the vet until the infection is more established, which is then more difficult to treat. Now the stitches have been removed we have switched Willow back to the small protective cone. We did attempt to remove it altogether, but she couldn't resist starting to lick the wound, and we don't want her to aggravate this or cause it to become infected. Willow is starting to get very bored with being locked in her crate for long periods of time. This morning she was crying for quite a bit wanting to come out. I have started to bring her out of the crate more now, for thirty to forty minutes at a time. Mason has to go into his crate while she is out to prevent the risk of any overexcitement, and she stays on a very short lead while she sits at the side of me. Willow usually just goes to sleep while she is been stroked. I think it is just a big relief to escape for a short time. Now that we have been able to remove the larger cone/collar, we washed their bedding and moved Willow back into her own crate which she seems to prefer. We have been periodically taking off her Comfy Cone to make her a bit more comfortable but she can't resist starting to have a lick at it and usually ends up back on her after she ignores you when telling her to stop. You can see better from the images below the raised skin along where the incision was made. This doesn't seem to have changed too much since the stitches were removed, but the top section of the leg, which was very red, looks to have improved quite a bit. The leg doesn't seem to be causing Willow any problems, and she looks like she is putting her full weight on it. Willow is still taking Rimadyl twice a day for pain relief but not sure if this medication is still required as she attempts to pull on the lead when out of her crate and jumps up at things despite our best efforts to minimise this. It has now been two weeks since Willow's operation. Each day that her leg improves the more frustrated she is with been restricted to her crate for much of the day. We have been trying to increase the amount of time that she is spending out of the container to try and break things up a bit. She has been coming out three or four times throughout the day for around thirty minutes at a time, and on an evening she has a further hour where she generally lays in her basket and gets a big fuss made of her. She has also been spending a little bit of time outside over the past couple of days, to give her a bit of fresh air, and sunshine when it decides to appear. I put her basket on the drive and one of the dog's towels at the side of it for me to sit on. She seemed to enjoy this as she was able to sit there and take in different smells but didn't settle too well as she kept wanting to be off the lead exploring. Again there has been a little further improvement in the wound, and the ridge of skin perhaps doesn't look so pronounced. From the images, it does look quite red, but if you look at it in real life, it is not quite as intense as this. Mason spent most of the day at the vets today to have a series of X-rays. He has been having some issues with his front leg and occasionally limps shortly after he has been on a run. We also wanted to have his back joints checked to see if he had the same problems with his cranial cruciate ligament which Willow was experiencing. Thankfully the X-rays didn't show anything abnormal so at least Mason won't have to endure the same kind of corrective procedures as Willow. Since Mason was not at home, it meant Since Mason was not at home, it meant Willow was able to spend much longer out of her crate than is usually the case. Since it was reasonably cold, I decided to light the fire so Willow was able to spend quite a bit of time sprawled out in front of it, despite the intense heat it was giving off. She was still attached to the lead to stop her wandering off. I managed to get quite a good look at her leg while she was out and take quite a few photos, a couple of which are shown above. The wound is continuing to improve, and the redness which was found along it has now almost completely gone. The ridge of skin where the scar tissue is forming is also becoming less distinct. Today was Willow's first physiotherapy session at the vets. We went outside the building and walked Willow up and down a few times so the physiotherapist could look at her movement and how she was using the limb which had undergone surgery. She seemed quite pleased with the results, and although there were signs of muscle atrophy due to its lack of use, her walking largely looked as it did before the operation. The physiotherapist also carefully examine the leg when we had gone back inside feeling the bones and muscles and also watching Willow's reaction to various forces she applied. As well as the muscle wastage which accompanies this type of surgery, her hamstring was also tight. We were given a series of exercises to do with Willow in order to start building up her muscles again and improve further the use of her leg. We were given the following exercises to do several times each day. Exercise 1: In this exercise, you put your dog into the sit position, squarely on a non-slip surface, and then get them to stand. 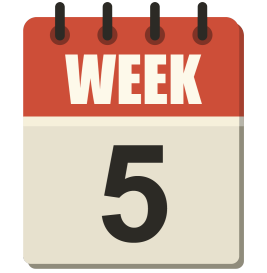 This activity consisting of a sit and stand is repeated five times. Your dog may try to cheat and use their nonsurgical back limb to push up with, so their surgical leg should be supported with your hand as you perform this exercise to prevent it from moving to the side. You can use a treat to entice them to do this exercise. Exercise 2: In this exercise, you have your dog stand squarely on a non-slip surface and then gently lift her front opposite nonsurgical leg off of the ground and hold this up for five seconds. This is repeated five times, stopping if the dog starts to show signs of discomfort. Exercise 3: In this exercise, you have your dog stand squarely on a non-slip surface, and while supporting their back end you slowly push your dog backwards with your other hand on the chest. This motion puts additional strain on the hind legs, and the position needs to be maintained for around five seconds. Exercise 4: In the final activity, a piece of cloth is tied lightly on the nonsurgical back leg, and your dog is allowed to walk around on a lead. The purpose of the object on the leg is to irritate your dog so that while walking, there is a tendency to kick the limb to remove it. This action causes a transferal of all weight at the back of the body on to the surgical leg. It has now been three weeks since Willow had her TPLO surgery but seems like a lifetime ago. 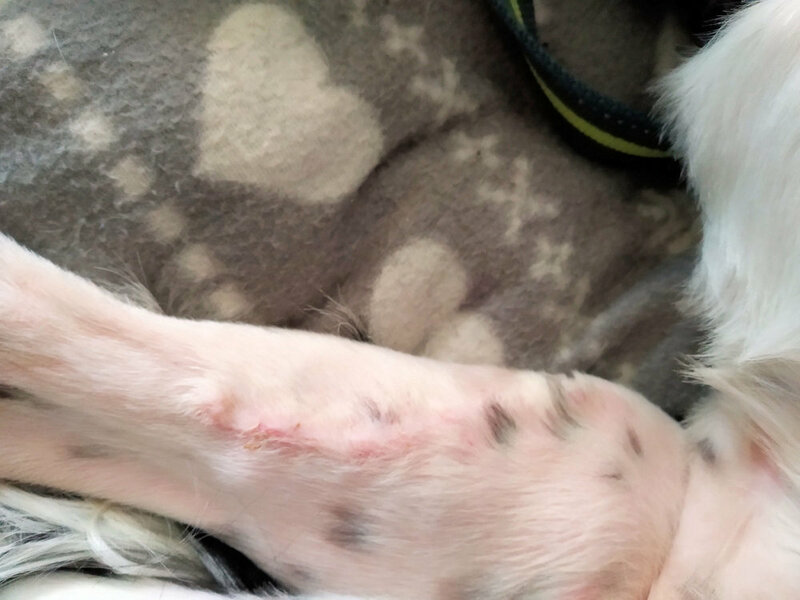 Her leg continues to improve daily from a visual perspective, with the ridge of skin around the site of the incision being much less noticeable. We were told by the physiotherapist, that this would reduce naturally as she started to use her leg more and build up muscle mass. As I mentioned before from the photos, Willow's leg looks a little red, but this is misleading and is much less so in real life. She appears to be using the limb normally but has been for some time, and as well as for walking she happily uses it to have a good scratch and push herself up when sitting down. Willow has been continuing with her exercises, but these are sometimes difficult to do as when she is out of her crate she just wants to do anything but these. We had our first significant setback today. We were told that we could start taking Willow out on short walks while on the lead. When we have been taking her out to the toilet, we often let her have a quick explore of the main driveway so she could stretch her legs, so when she did go out the distance we travelled wasn't really too much further than what she was used to. She was, however, a little excited and was pulling more than usual. Upon returning, she seemed to be walking well and was wondering why she was back home so soon. The problems started later in the day when she was taken into the garden. She had a noticeable limp and was reluctant to put any weight on her back leg, and when stationary, she would hold it in the air. Since having her operation, this was the worse her leg had been, and after only going for a short distance it was a little worrying. We thought that she had just done too much on her walk, so decided to stop her walks for the remainder of the day to rest the leg. We did try to do some of her exercises later in the day, but Willow really didn't want to do these and put any weight onto her poorly limb. Mason has gone off on some training for six days with my wife to learn how to track, so at least things for the next few days should be a bit easier only having one dog to deal with. I hoped that after a night resting her leg she would be much better in the morning, and initially, this seemed to be the case. However, when I got her outside, she was still limping quite badly and lifting it when she came to a stop. As she had only gone a short distance yesterday, I decided to call the vet and arranged for her to go in to have it checked out. With the kind of surgery which she had, there are several things with can go wrong in the initial weeks. These can include patella luxation, fracture of the tibia, infections, a loosening of the screws in the bone, and rejection of the plate. While looking into the surgery before the operation, I read part of a study carried out which said that anywhere up to 34% of TLPO surgical procedures are reported to experience some form of complication, with between 2-4% requiring some type of corrective surgery. When Willow had her meal in the morning, I give her two Rimadyl tablets, which was the dose she was on for the first week following the operation. This additional tablet seemed to help, and within an hour or so she looked a lot more comfortable and was able to move around with only a slight limp. By the time I had got to the vets her limp had almost gone. I don't know if she was trying to make me into a liar or she was just afraid at being at the surgery again. The vet had a good look at her leg and observed her moving around. She said that everything appeared to alright and Willow showed little to no reaction when manipulating her leg. She advised me to stop doing any exercise and to rest her leg to see if it improved over time. She said if it was still a problem in a couple of days, take her back in with a possible view to having it X-rayed to see if the plate was still in place. While at the vets, I decided to have her weight checked, and this was 18.8 kg which was what she was at the time of the operation. When I got home, I lit the fire and Willow was asleep in front of it for the rest of the day. When she had her evening meal, I give her a single painkiller, and when taking her out for the toilet, she seemed only to have a very slight limp. Today Willow seems to be walking normally and is not holding her leg up at all. I was waiting to see what it was like today before deciding if to take her for her physiotherapy later. The vet said yesterday that if she was still showing signs of discomfort then to cancel this and continue resting her leg. Due to the improvement shown in the condition of her leg, I decided to start walking her again to try and strengthen the muscles in her legs. Rather than taking her down the street where she tends to pull on the lead I just walked her up and down the drive for five minutes before returning her to her crate. Once she had started to build up some muscle mass, I had the intention of walking her outside of the garden again. A little later in the day, there were no signs of limping, so I repeated this around dinner time and just before setting off for her physio at the vets, at 04:00 pm. In the physiotherapy appointment, I discussed the problem which Willow had over the previous couple of days, and the physiotherapist was happy with the way she was now walking and the fact that she was putting weight onto her surgical leg. She had a good feel of the muscle and said that the hamstring, which was tight before was much better, but did have some concerns with a small section under the scar which was inflamed and a little tender when touched. She advised me to use an ice pack three or four times a day to try and reduce this but also wanted me to get this checked out before I left. Luckily the main surgeon, who had carried out the operation was available, so he had a look at the swelling. He didn't think it was infected but said that three or four weeks after the surgery is one of the prime times when infection can take place. He said that because of the leg improving since yesterday, and the fact that she wasn't in too much pain when manipulating the leg into different positions, infection was unlikely. I was advised to keep a close eye on it and if there was any change for the worse then contact the surgery straight away to get her seen. I was told to stop the exercises I was given previously, apart from the second one which involved lifting one of Willow's good legs to force her to use her poorly leg for balance. Rather than raising the opposite front leg, I was told to switch to lifting the rear opposite leg instead as this would increase further the additional weight put on the injured limb. I was also to continue with the walks and slowly extend each one from five to ten minutes, three times a day. I have been taking Willow out walking for around five minutes, three times a day, plus the additional time when she is out for the toilet. Her walking is looking relatively good and is showing little signs of discomfort once she has completed her exercises. To try and reduce the swelling of the scar I am using a gel pad twice a day, which has been in the freezer. I have been using this since the last visit to the vets, but it is difficult to know if this is helping. The physiotherapist mentioned trying to massage the scar as this is supposed to be an effective way to decrease scar tissue build up and help make it less visible. I did some reading up on this, and it said it was best to use some form of lubrication such as baby lotion or bio-oil. I ordered something called Vitamin E Skin Oil which arrived today. You have to be careful when carrying out this type of massage and only attempt to do it when it is safe to do so. If you massage the scar prematurely, you can cause it to reopen or tear, leading the risk of infection. As part of the body's repair process, new protein fibres in the form of collagen is released around the damaged tissue. The build-up of collagen which results in the scar helps to heal and strengthen the wound. Unlike the original tissue, the new fibres form in a random, inconsistent way which leads to inferior functionality, flexibility and structure. Collagen can continue to grow for several months and is generally accompanied by an increased supply of blood, which causes the scar to become red, raised, and lumpy. Over time, some collagen breaks down at the site of the wound, and the supply of blood gradually reduces. This results in the scar becoming smoother, softer, and paler, but this process can take anywhere up to two years. If there is an excessive overgrowth of tissue around the wound, keloid scars can form. These are raised above the skin and can be itchy and painful. Scar massage is a method used to remodel the tissue by breaking down and realigning the collagen fibres so that they are more in line with normal healthy tissue. It will be interesting to see if this technique proves to be effective. We were at the vets again today with Willow for a routine check-up of the leg, which was planned around the time of the operation. He seemed pretty happy with the progress she had made over the first month and how she was using her limb. He had us outside moving up and down the carpark at a trotting speed, while he observed her movement. He also had a good feel of the leg to check that healing was progressing normally. He said that he didn't need to see Willow again for six weeks as long as everything was going well. Before going to the vets was had a look at several canine hydrotherapy centres which were reasonably close to where we live. This had been mentioned to the physiotherapist, and we agreed that this would be beneficial to Willow to strength the muscles in her legs. Normally, following surgery, the hydrotherapy centre will insist on a referral from a vet, or some documentation to say that it is safe for your pet to carry out this form of exercise. The hydrotherapy centre we selected had a PDF on their website which you could download and print off. We took this with us to the vets, and he was kind enough to spend a little time filling this in. While at the vets, we did ask about the plan for having the operation on her right leg. He said this would probably be ready to be carried out early in the New Year. In most cases of TPLO surgery, I have read about, after several weeks following the operation, the leg is X-rayed again to make sure that the bone is fully healed, however, the vet said that this wouldn't be necessary and if there were any complications then this would be clearly visible when she was trying to walk. I'm quite pleased about this really as there is always a risk during sedation or anaesthesia, which is required for the X-rays. Although veterinary anaesthesia has become much safer thanks to better protocols, safer drugs and sophisticated monitoring, the death rate for dogs is still around 0.15% on average. Some dogs are more at risk because of their age, if they are suffering from an illness or if the duration of the anaesthesia is over a long period. We have been slowly building up Willow's exercise as time progresses. The plan is for her to be walking for five minutes, three times a day, before her next visit to the physiotherapist. She seems to be doing well on her walks and doesn't seem to have any discomfort when she comes back and then rests. We have stopped giving her any painkillers now. We did initially reduce her Rimidyl to one tablet a day in the morning but then stopped it altogether after she seemed to be coping with the reduced dose. A dog trainer told us that when dogs are locked in their crate for long periods, they can become very protective of their space. I think this has been the case with Willow a little, as when Mason walks up to the crate, she occasionally will growl. We decided to try and introduce them to each other again as it has been a good few weeks before they have seen each other properly. Since in most cases when they get together, they usually get into a wrestling match and want to chase each other we decided to do this late in the evening when they were both tired. The fire was also lit, and when this is the case, they generally both want to crash out in front of it. Initially when we let them both out, there was a lot of staring, sniffing, and licking, as if meeting for the first time, but after a few minutes both of them settled down and were asleep. We were back at the vets today to see the physiotherapist. We again checked Willow's weight which was 18.4 kg, and this reduction probably reflects the increase in the amount of exercise she is now doing. At the moment Willow is walking for around ten minutes, and this is three times a day. We are slowly increasing this every few days as the leg becomes stronger and stronger. She is also spending a lot more time out of her crate and can wonder about while on her lead, so is in general much more active. As she has lost more weight and has increased her activity, we are going to increase the amount of food she has daily to reflect this. Although Willow is using the leg and seems to be putting weight on it, the physio said that she is not bending it as much as she would like, and her hamstring was a little tight again. The physio told us a couple of exercises to try and improve her range of motion and further strengthen the leg. One of the tasks was to stand with her front paws on a step and when in this position, gently push on her chest so that her weight was more distributed towards her back legs. The other exercise was to use a balance cushion, or something similar such as some dense foam, and stand on this with her weak leg. Balance exercises such as these are a great option for improving core strength and other weak areas on a dog's body. They can also improve coordination, reflexes, and increase the range of motion they have. The scar seems to be reasonably flat now and much better than when she went for her last physiotherapy session. I have been continuing to massage the scar gently on a daily basis, and have been occasionally icing the leg with a gel pack after she comes back from a walk. We had our first session of hydrotherapy today. There are a few centres located relatively close to where live, but the one we opted for was Aquapaws Canine Hydrotherapy & Fun Swim which is located a short distance from us in Carlton, near Barnsley. Aquapaws is registered with the National Association of Registered Canine Hydrotherapists who ensure that members adhere to the highest professional standards and ethics. Additionally, all staff are trained fully in every aspect of canine hydrotherapy and first aid. The centre boasts a 5.5 x 2.5 metre pool, maintained at an average temperature of 28-32 degrees. A location map is shown below, but if you need anymore information you can visit their website at www.aquapawsbarnsley.co.uk. As with most centres, when hydrotherapy is used as part of the rehabilitation process, a referral form usually needs to be completed by a vet beforehand. This ensures that the vet is happy for your dog to attend hydrotherapy and they are not doing something which will hinder their recovery process. We had already downloaded this from the Aquapaws website and had our vet fill this in when Willow went for her last examination. Didn't really know what to expect from the first session as Willow is always a bit weary when exposed to a new environment and when meeting new people. The staff did their best to make her feel comfortable, and it wasn't too long before she was making her way down the ramp into the water, wearing a buoyancy vest. We had our second session of hydrotherapy today at Aquapaws near Barnsley. Again Willow was still a bit unsure about what she is doing there and is reluctant to enter the water. She is largely guided around the pool in a circuit, but at times she will swim unaided wearing her buoyancy vest. We have this week been slowly increasing the distance of her daily walks. She is a real puller on the lead just now, and you can feel the strength she has in her back legs when she has her exercise. We have tried as much as possible to stop her pulling on the lead as this must put a lot of stress on the back legs. We did have her walking on the lead nicely before the operation, but after spending so long having minimal exercise, this all seems to have been forgotten, and I think she just wants to be off running. I think that Willow could do much more than she is doing, but without an X-ray, it is difficult to know if the bone has healed sufficiently so don't want to do anything which would cause injury. We are just sticking to the routine which the physiotherapist give us as see what she says when we have our next appointment on 13 December. We have been continuing with taking Willow for hydrotherapy twice a week at Aquapaws. Although she is still showing some reluctance to go down the ramp into the water, she seems to be doing a little better when actually in the water. She looks to be swimming well, and there is much less splashing around which she did during the first couple of visits there. Willow is also spending more time in the water, rather than resting on the ramp, as her strength and confidence increases. As I'm not an expert in the canine muscular system, it is difficult to know how her swimming sessions are helping to improve her physical condition. This is made more difficult because Willow hasn't been showing any signs of injury for some time, and you would be hard pressed to know she had undergone a major operation on her leg. When reading about hydrotherapy, there are a number of claims when comparing it to more traditional forms of exercise such as walking or running. Many sources say that swimming for 1 minute is equivalent to about 4 minutes of running and I'm pretty sure this is accurate as Willow was getting very tired in her initial sessions after only short bursts of swimming. Willow has loads of energy to burn at the moment, but we are limited by the amount of walking she is allowed to do. As hydrotherapy is a non-weight bearing exercise with reduced stress on a dog's joints, it is much less likely to result in injury. We are now up to 3 walks a day with Willow, each lasting for around 20 minutes. It is a bit of a bind with her on the lead as she wants to be off so she can have a good run around. There are also not too many exciting places to take her on the lead and usually, end up walking along the side of the road on a route I know takes about 20 minutes to complete. In the house, she is spending quite a lot of time off the lead and out of her crate. She seems fine with this and usually settles down fairly quickly. We usually have Mason out at the same time, and they seem to be getting on alright. Every now and again, however, one of them wants to start a play fight, and when this happens it typically ends with Willow having to go back into her crate while things calm down a bit. In the week leading up to 9 weeks following the operation, things are starting to get back to normal with regards to Willow. She is almost always out of her crate, and she is allowed to wander around the downstairs of the house off the lead. Every now and again she will start to try and play and set off running or jumping but you just have to keep a close eye on her and when she starts is bundled back into her den where she can't do any harm. 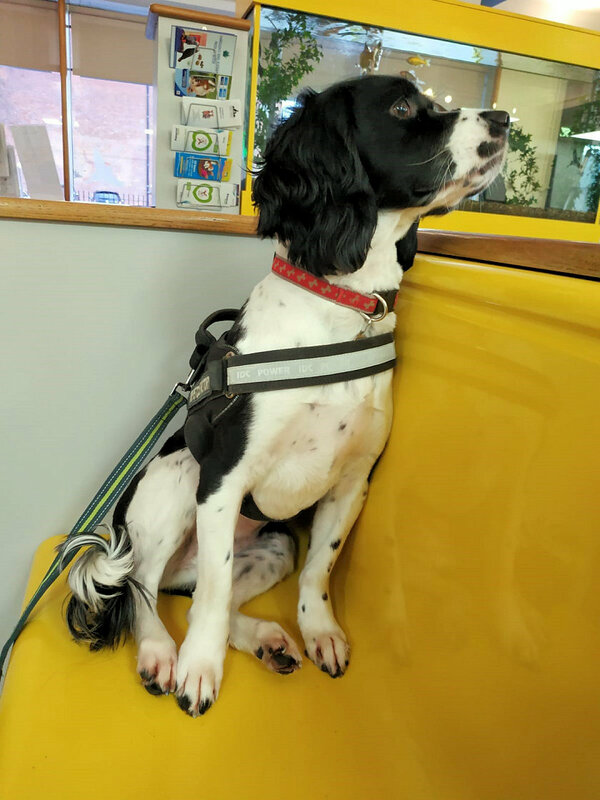 We had our final visit to the physiotherapist on 13 December, at least for this first operation, and she said that Willow's leg was much improved when compared to how it was on our last visit. She said that her use of the leg was around 70% back to normal so still some work to do to get the leg stronger and moving correctly. On close examination of the leg, she said that she was able to move it normally, but had become a little lazy with how she used it when compensating for the pain following the operation. We were advised to continue increasing the length of the walks and with her hydrotherapy sessions. Willow was still a bit cautious when going for hydrotherapy. She was slow at going down the ramp into the water, and although she would swim around the pool, she didn't seem to get too excited about it. This all changed when we introduced a new toy for her to play with. Willow is not usually a big fan of chasing balls but thought we would try her with an Amphibious Duck Diver Dog Toy. This is a kind of ball, made to look like a diving duck which bobs on the surface. A few days before her swim it was delivered, and we got her really excited about it playing with it out of the water and hiding it. We also threw it into a bucket of water, so she had to fetch it, a bit like bobbing for an apple. When we went for her session and introduced the toy she was like a totally different dog and instead of having to be led into the water would jump in on her own waiting for it to be thrown. She even started to wag her tail. Towards the end of this week, we started to take Willow out, and let her have a little more freedom by using a long extendable lead. We have a race track close to where we live which has wide open grassy areas inside the circuit, which are relatively flat. We have also started to take both Willow and Mason out together again at the same time. We have to keep a close eye on them as Mason tends to run at Willow and barge into her at high speed to get her to chase him. It looked like he was going to try this a couple of times, but we were able to retract the lead and block him off. The last thing we wanted was an injury from a collision between the two. I have started to think a lot about the second operation and basically going back to square one again with Willow. She is really happy at the moment, and although she has some restrictions with regards to what she can and can't do, she seems to be enjoying life again after the trauma of the previous surgery. We haven't got a date yet for the operation on her right leg, but the vet did hope to do the procedure early in the new year if all went well. Ideally, we want to get this done as soon as possible, during the poor weather so that she is fully fit in the summer for holidays and trips out. I took some photos of her leg one day during the week. This is quite difficult to do as she is rarely still for long enough. 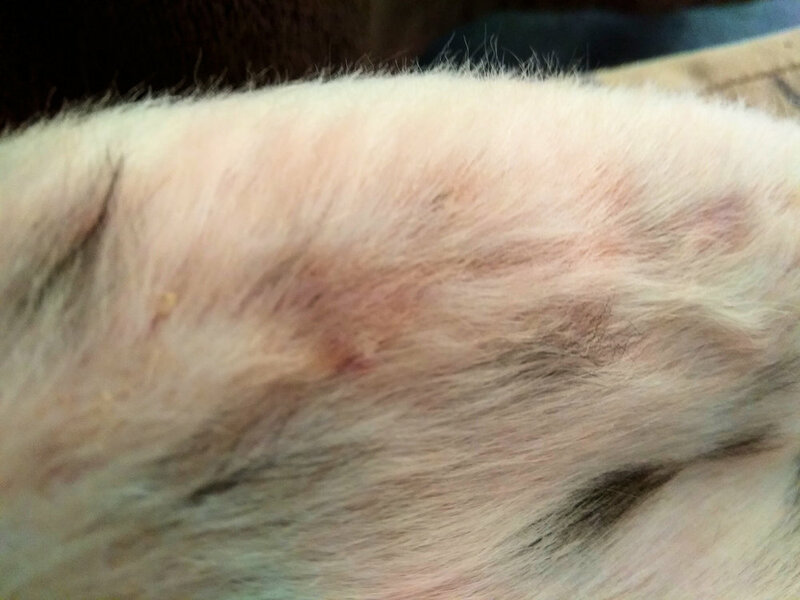 From the images, you can see where the incision was as the fur hasn't grown back where the scar is. Looking at the leg, unless you knew she had undergone surgery, it would be difficult to know. There isn't any redness or swelling where the wound was, and feels similar to the other leg. We went to see the vet again for Willow's final planned examination following the surgery. He examined the leg for some time flexing and extending it to gauge the degree of motion and then observed her walking and trotting on the lead outside in the car park. He said that occasionally she did swing her leg out a little, but apart from that, he was very pleased with the results. We were advised to continue with exercising her on the long lead for another week after which time we could then thankfully let her off. While I was there, I asked about the operation on the other leg, with a view to getting this out of the way as soon as possible. Unfortunately, he said he was taking some time off at the beginning of January but that he could carry out the other operation on January 21st. As a treat for the dogs, since Willow is now allowed off the lead, we decided to take them to the coast. Went to a beach at Fraisthorpe which is approximately 4 miles south of Bridlington on the east coast. This has a sizeable dog-friendly beach and a cafe near the carpark. Unfortunately for some reason this was closed when we went. Willow had a bit of a runaround but then had to go back onto the extendable lead as she was starting to roll around when getting chased by Mason. Below is a video which was taken around a couple of days after the visit to the beach when Willow and Mason went for an early morning walk to Pontefract racecourse. This gives a better view of her movement even though she is attached to an extendable lead. We have been limiting the amount of running which she does off the lead as we don't want any potential problems. Having been through the process already, at least we know what to expect and have an idea on how she is going to recover over time. 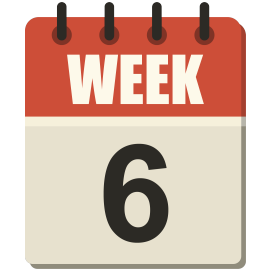 I have had a look over the log I kept for the first operation to refresh myself on what we had done and how Willow was doing after each week passed. 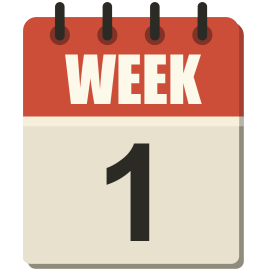 All I can say is that I am looking forward to Week 12. We don't plan on really changing the way we do things too much this time around, compared to after the first operation, as Willow seemed to do quite well and several people have commented on how healthy and fit she looks. Willow appears to be in excellent condition at the moment and has managed to build up muscle mass in both her back legs, as well as developing a great body shape. This has been through her diet and increased exercise, now her left leg has fully recovered. Willow has been going for a good run every morning, and up until last Friday was still doing hydrotherapy at least once a week. She has also started to do scent work again which she loves, finding target items around the house with traces of catnip or gun oil. We delayed introducing this again, mainly because of the effort she puts into it, running and jumping on and over furniture. 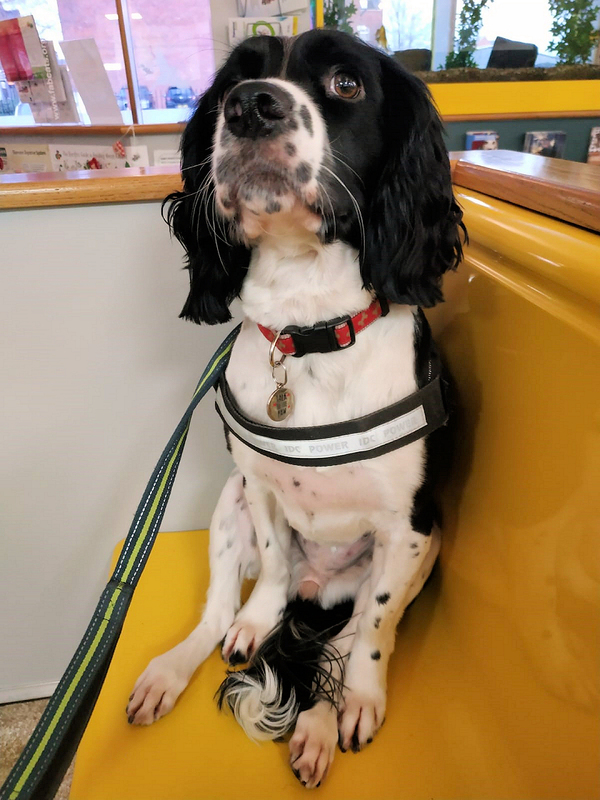 After her swimming session on Friday, we also took Willow to get her fur cut as this was starting to get quite long and didn't really want to wait another 12 weeks before getting it done. We dropped Willow off at the vets at 08:30 am and as before the plan of action was for her to have the operation and then stay in overnight. We weighed her before going in to see the vet and she was 18.3 kg, so a little less than before. It is really strange not having Willow in the house so really just want to get today out of the way and get her back home. I called at around 03:30 pm for an update, but they didn't give too much information other than to say she had just gone into recovery so wasn't fully awake yet. They did say that the vet who had operated on her would give me a call later to provide an update on how the operation had gone. He called at around 09:00 pm with an update. The surgery had gone well and was similar to the first procedure carried out. The cranial cruciate ligament was not completely torn but was cut and removed to prevent any future problems. 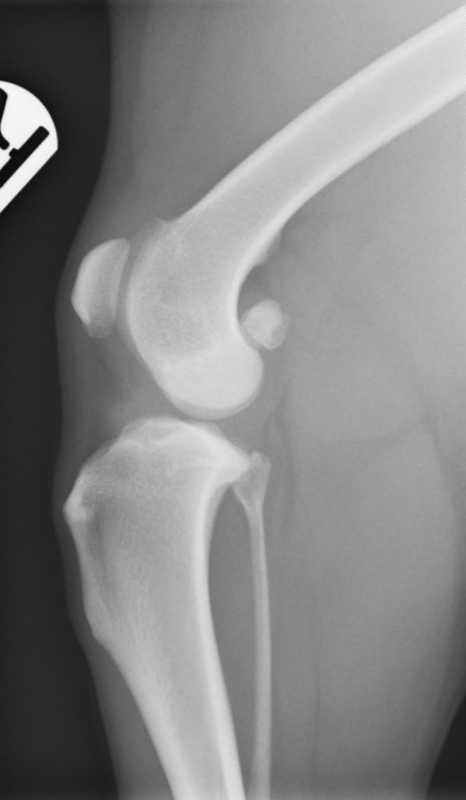 The cartilage was also not damaged, and the joint appeared to be in relatively good condition despite the abnormal movement caused by its instability. Again I was able to obtain a copy of the X-rays taken on the day which show the right knee joint before and after the operation. X-rays are taken prior to the operation so that the angle of the cut can be accurately calculated. These can be viewed in detail below. We had an update from one of the nurses in the morning to say that Willow had a comfortable night and was able to come home this evening, once she had been weaned off the intravenous pain killers she was on. When we went to collect Willow, at 07:00pm, the vet very briefly went through the aftercare and recovery but didn't go into much detail since we had already been through it all before. She was prescribed the same medication as before, involving a combination of the painkillers Rimadyl and Pardale-V, and the antibiotic Clavaseptin. We were given some leaflets related to the aftercare following an operation including one specifically for surgery to correct cruciate ligament disease. I have scanned this and can be viewed on the link below. When reading about the operation and recovery process, both online and from various printed sources, I have noticed that there is a lot of different information regarding the timescales for recovery and when to introduce various forms of exercise. This just what we were given, and some of the information it contains actually differs from what we were previously told following the first operation. Willow was not wanting to put any weight at all on her right leg and was moving about by hobbling about on three legs, with the injured limb being held straight out, almost parallel to the ground. The leg looked to be very swollen and red, but I couldn't see too many signs of bruising apart from the very top of her leg. She had to take a couple of her tablets at 10.00pm, so we waited until then before offering her any food. She had a poor night and woke up several times and began crying. She seemed to be in more pain when compared to the first operation as Willow has been much more vocal. By sitting with her and stroking her, she did eventually go back to sleep, but she seemed to find it difficult finding a comfortable position and was very restless. We had to put on her smaller comfy cone again when we got home as she was trying to lick at the dressing. Willow's walking seemed to be a little better today, and she was able to put a little weight onto her right leg at times. Despite her injury it doesn't seem to slow her down and wants to walk at a breakneck pace. The only real way to slow her down is to walk in front of her and use your body as an active barrier. I don't really want to try and slow her down using the lead as she has a tendency to dig her heels in and pull which won't do the broken bone any good. Willow spent most of the day confined to her crate, only coming out when we took her into the garden for the toilet. 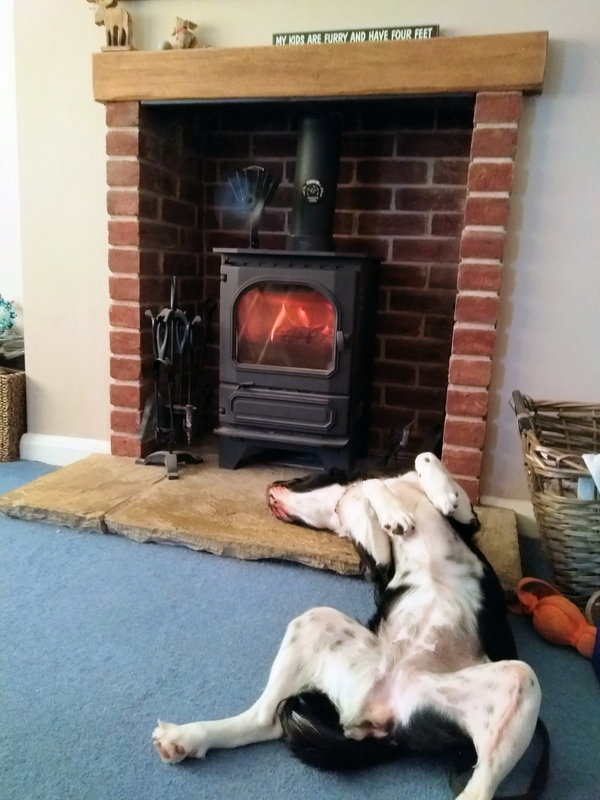 I did have the fire on, so at one point I did let her sleep in front of it for a while attached to the lead. She slept for about 40 minutes and then woke up and was messing around so ended up back in her crate again. Willow is on a diet which is aimed at trying to maximise healing of the leg. She is on a reduced amount of her usual raw food from Bella and Duke, and mixed in with this is a little bone broth, which we purchased from the same company. We also have some vegetables mixed in with this in the form of broccoli and cauliflower. We put her tablets in with the food as she is not too good at taking these, and also some of our joint support supplements. With regards to keeping her hydrated, she is not too interested when we offer water to her, so when she does have her meal; we also give her a drink of watered down milk, which she will drink straight off. She also gets some moisture when she has her meals as the bone broth is like a gel and the meat is minced up and quite moist. Willow is having a few problems today with her walking which is a result of the adhesive dressing. After the first operation, this was pulling at the skin and eventually, we had to bring forward our appointment at the vets by a day, so this could be removed. This time around, it was not causing any problems until today but now seems to be giver her some discomfort as she is spinning around after every few steps. Mason was out for a few hours today doing some tracking so while he was away I had Willow out of the crate for an hour or so and just sat with her on the floor to give her a bit of a break. She was wearing her harness and lead all the time so couldn't really go anywhere. We were back at the vets again today, for a prearranged visit, to have the adhesive dressing removed and for the wound to be examined. They use a special spray to remove the bandage which is sting free and allows it to be removed with relative ease. The vet seemed to think that everything looked fine and she commented on how well Willow looked to be using her right leg. Due to the position where the cut had been made, it was difficult to have a good look at it until we got back home. The condition of it seemed much better than before. As well as looking to be a slightly smaller cut the skin where it had been stitched was much less pronounced, almost flat. On the dressing which was removed, it looked like there had been quite a bit of discharge from the wound since the operation, but there were no signs of this still happening. On the leg, there were a few areas of redness, but I think the dressing made these as it pulled on the skin, when Willow was walking. Some of these marks were also probably formed when the fur was shaved off. There are five stitches in total, and at this stage, there are no signs of major bruising. In the first operation, the incision which was made was almost parallel to the line of the tibia in a straight line; however, this is different in the right leg and seems to curve around the leg as you move higher up the limb. There hasn't been too much of a change in Willow's leg over the past day or two. She is putting weight on the leg and walking well at times, but occasionally is lifting it up. The wound seems to be healing nicely and up to now, there has been no discharge from it as was previously the case. I have included some of the latest photos below. 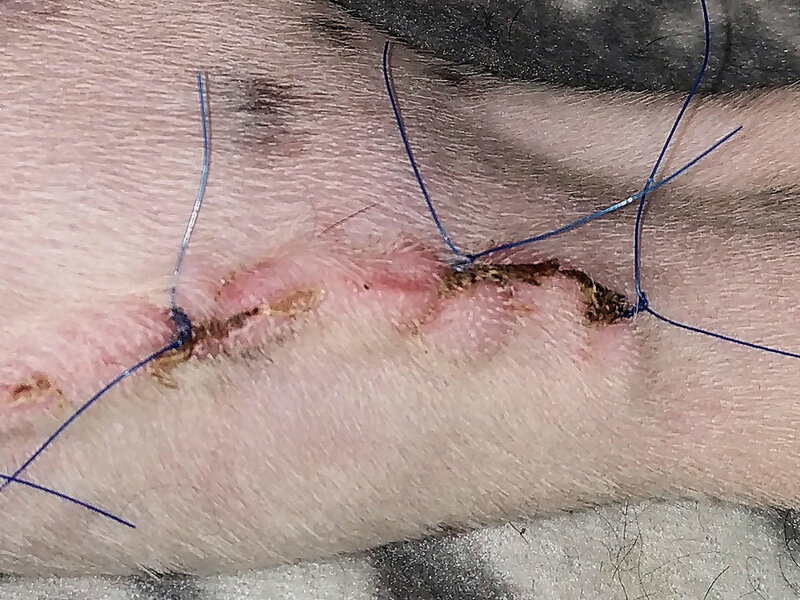 Willow was due to have her stitches out today, but when the vet examined her, he felt that a section of wound needed a little more time to heal before doing this. I made another appointment on 07 February to see him again and also arranged to see the physiotherapist straight afterwards so we can start to look at introducing some exercises to strengthen the leg and get it moving about better. Checked Willows weight while at the vets and was 18.1 kg, so has managed to maintain this quite well despite spending loads of time in her crate with restricted exercise. Willow has been messing about with her front right paw quite a lot when we take off her comfy cone. She keeps biting and licking at it but can't really see anything wrong. While I was at the vets I asked him to examine it, and he found a small mark on it. I don't know if she has caught it on her crate or if she has done this herself when biting at it but the vet prescribed some corticosteroid cream to use. I took the above images above on the night of 31 January, the day we visited the vet. I have zoomed in on the section of the wound which the vet want to leave to heal for a little longer, before he removed the stitches. Two weeks after the surgery, the wound is continuing to heal well although there is still swelling to the leg. We are gradually reducing the Rimadyl she is taking. For the first week, she was on two tablets, twice a day and after this time this was reduced to one tablet twice a day. At the beginning of this week, we further lowered the dose to one tablet a day, and she seems to be fine with this and is not showing any sign of discomfort. The other tablets which she was given when we collected her, only covered the first five days following her surgery. I only have Willow to look after this week as Mason is off scent training again down in Leicestershire. He will be in his element all week and will be searching property, vehicles, and on the last couple of days a working Boeing 747 jumbo jet. Took some further images of Willow's leg today to give a visual update on how it is healing. I had an update about Mason today, and how he is enjoying his scent training course, so I decided to let Willow have a go. We still have to limit the exercise she does, but she is getting fed up of being locked away in the crate. One of the ways we can keep her entertained is with a snuffle mat and hide some treats in it. We can't do proper scent work as Willow gets a bit carried away, runs around at 100 mph, and jumps over on any obstacles when she is searching for a target. With the snuffle mat, she does move around too much, and it keeps her entertained for a short while. I recorded a video of her which I have posted below. You can see her tail wagging as she is searching for small treats. We had a scheduled visit to the vets today to first see the vet to have Willows stitches removed and also for her first session of physiotherapy for her right leg. The removal of the stitches was slightly delayed from the previous week as the wound was still somewhat open at one particular section. This time around the site of the incision had knitted together well, and there was just a little bit of a scab present. Once the stitches were removed, he had a quick look at the leg and the movement when the limb was contracted and flexed and seemed happy with her progress. When we went to see the physiotherapist straight afterwards, she commented on how well she was moving and said that although there was some muscle wastage, it was not as severe as the period following the first operation. I think that at the time Willow had the second operation she had more muscle built up than before. She had been doing various exercises and had gradually built up the amount of time spent going for walks. She had also had quite a bit of hydrotherapy, swimming twice a week initially and then weekly over the last three weeks before the operation. As Willow was in a more advanced stage of recovery, she recommended starting to walk her for 5 minutes going 2 or 3 times a day. 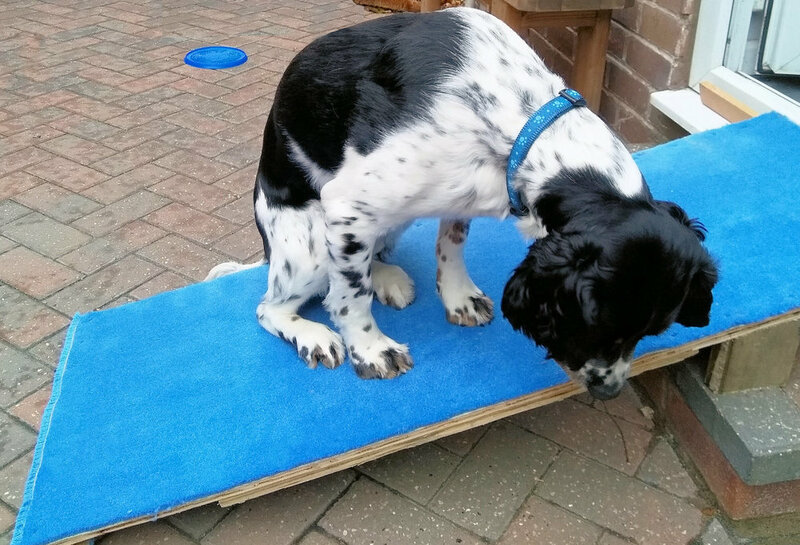 She also advised us to do certain exercises such as walking over a raised platform and standing on this with just her front paws so that more weight was distributed to the back legs. I took some images after she had com home from the vets after having the stitches removed. Willow has been slowly building up her daily exercise and has not had any issues with her leg causing problems when she returns from walking. She is out of the crate as much as possible and is spending quite a lot of time with Mason. I have been taking some photos over the week to try and show the leg as it continues to heal. Although the leg looked like it was healing nicely, a section of it which caused the removal of the stitches to be delayed became quite red and swollen where the scab was. It didn't seem to be infected or cause Willow any pain, so we decided to keep our eye on it to see if it improved or deteriorated over time. We found that over the rest of the week the swollen part of the leg improved significantly, and by about Saturday ( 23 February) the swelling was just about gone. 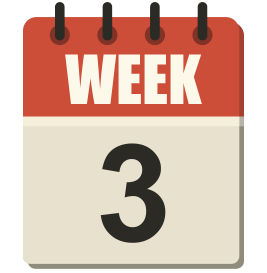 We continued to increase her exercise over the week, and by Thursday 21 February, when she had her next session of physio, she was doing around 10 minutes 3 times a day. The physiotherapist was really pleased with Willow and the progress she had made since her last visit. She said Willow had started to build up a bit of muscle in both back legs and it was difficult to tell that anything was wrong with the limb with the way she was walking. We were told to continue gradually building up her daily exercise. On Saturday 23 February we also took Willow for her first hydrotherapy session since the second operation. Unlike the first time, Willow went swimming she was quite eager to get into the water and did quite a bit of exercise for her first session. Following her first operation, she became quite tired, even after a little swimming so seems to be much fitter this time around. There is not really too much to report on the recovery of the leg this week. The lower section of the leg which was swollen last week, but which gradually improved as the week progressed, is now only slightly red and the swelling has disappeared. She is continuing with her hydrotherapy having two sessions a week and the time she is out walking is gradually being increased by around 10 minutes a week. We are finding it much more difficult this time around keeping her from doing too much on her leg, and she is wanting to play all the time with Mason and jump up. She also tends to pull quite badly on the lead while out on her walks, as she is wanting to be off running around. We mentioned her excess energy when attending her hydrotherapy sessions, and as a result they made Willow work a lot harder during her time swimming. This didn't really make too much difference to her as by the time she was home she was usually ready for more mischief again. We are due to go away for a holiday next week to Scotland so have been doing loads of exercise with Willow to strengthen the leg further and allow her to enjoy the break to some extent. We booked this sometime before the operations and had planned on cancelling it, but with Willow doing so well, we decided we would go but restrict her exercise as much as possible and generally take things easy. Rather than walking Willow around the paths where we live, I have started to take her with Mason to the park when we go early in the morning. I generally walk her around the field and large pond there, a circuit which takes around 25-30 minutes. We split up in the park usually with me taking Willow and my wife taking Mason off on his run. We have found that if we walk them together on the same route, it usually ends up with Mason charging at Willow to try and get her to chase him. I have included some images which I took towards the end of the week. It is difficult with must of the leg to see any sign of the wound as this looks to be fully healed and is covered in new fur. The only section of the leg which still has some redness to it is the part which started to swell up a couple of weeks ago, and is taking longer to heal. We were up in Scotland this week, just north of Perth. We used to go to Scotland with our other dogs, a couple of times a year but it was the first time Mason and Willow had travelled this sort of distance. They were well behaved while travelling and we didn't hear anything from them once the car was moving. We stopped a couple of times so they could go to the toilet and also to let Willow stretch her legs a little. We had a bit of everything in terms of weather. The Sunday after arriving we had some heavy snow which disappeared by the evening and the next day it was glorious sunshine. It rained practically every day, but fortunately, this was always on an evening so didn't bother us too much. Willow had plenty of exercise on holiday, but we were careful not to do too much with her as we had only just started to build up her walking to a reasonable level. We spent most of the time at the beach with Willow restricted to staying on the lead while Mason chased sea birds up and down the dunes. The soft sand is a good exercise for dogs recovering from the kind of surgery Willow had, as it forces the dog to work their muscles in the limb to maintain a stable stance as the surface moves. We beach we went to, and which I highly recommend to anyone is Tentsmuir, which is situated south of Dundee. The beach goes on forever and has an adjoining forest area covering 50 square miles, with multiple pleasant walks. It is very dog-friendly. All the sessions Willow has had with hydrotherapy were put to good use as we visited a few lochs and Willow was happy enough to go for a swim in a couple of them, despite the cold water temperature. Towards the end of the holiday, I noticed Willow was occasionally raising her left leg when she stood still. This limb was the first one operated on in October last year so was a bit of a worry why she was raising it when it should, in theory, be healed fully. Willow seemed to be walking around on it alright and playing, but it was just when she stopped moving that she either raised the leg or balanced it on the front of the pad. We decided to limit further the amount of exercise she had for the remaining part of the holiday and called the vets to make an appointment for early the following week to have her checked out. Back from our holiday, we were quick to get Willow to the vets to get her leg checked out. Following the operation, even though it was several months ago, there are things which can cause complications which prevent the limb from healing completely. Most of the problems are the result of the plate used following the surgery. Over time the screws used can become loose causing the plate to move. 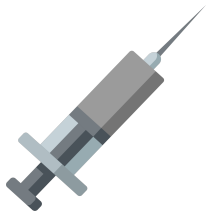 There are also chances that infection can still occur due to the presence of the foreign body, and it is not uncommon for there to be a build up of scar tissue which can cause irritation and discomfort. The vet examined the leg thoroughly, testing the range of movement and also carrying out the drawer test which indicates the stability of the joint. He said that everything looked to be alright with the joint, and there were no signs of inflammation and infection. He asked us to reduce her exercise for a time and contact him in a month to report on Willow's progress. He said that it could be a strain on the muscle which is causing the discomfort. A few days later we had an appointment to see the physiotherapist, so we reported to her what the vet had said. When examining the leg, she said that one of the muscles was feeling a little tight and said that this could be a potential cause of the lameness. She gave us a series of exercises to do to try and sort out the problem. Willow has had her exercise cut this week and is spending less time on her walks. We have been, however, concentrating on the activities which the physiotherapist recommended for helping to correct the tight muscle in her left leg. One of the main ones we have been carrying out involves setting up a series of poles along the length of the drive and walking Willow slowly over these. The action of her lifting her leg higher than usual while walking is supposed to be a helpful kind of exercise. 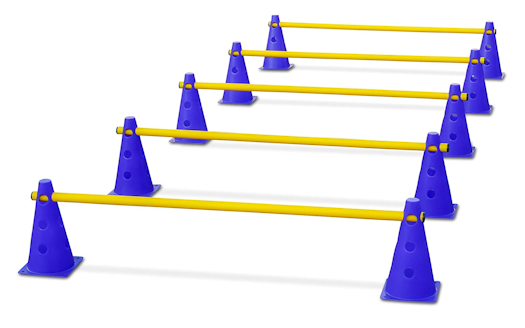 There are 5 poles in the set, and a pair of cones support these. They can be adjusted to 3 different heights, but we have been using the middle setting which raises the plastic bar around 5 inches off the ground. We found that if we used the highest setting, she would do a jump rather than stepping over it and raising her leg into a more elevated position. We have also been stretching the leg, by holding it out directly behind her while she balances on her remaining legs. The limb is then held for a few seconds in this position. Although we have been taking it easy with Willow in terms of the amount of exercise she is having, she woke on on Tuesday (2nd April) with a terrible limp. She was able to walk around but was reluctant to put any weight at all onto her back left leg. Worried about the symptoms, I immediately called the vets and got an appointment with the surgeon, who had carried out both operations, the same morning. By the time we arrived at the surgery an hour or so later, Willow was moving around a little easier, although was still visibly lame. He examined the leg, but as before was not able to determine any abnormality which would account for the limp. He said that the best course of action was to take some X-rays so that he could check the placement of the plate to see if there had been any movement, and also make sure that the bone had healed correctly. He also wanted to take a sample of joint fluid to see if there were any signs of infection. A couple of days later on Thursday (4th April), we were back at the vets so the various tests could be carried out. I don't know what was going through Willow's mind getting left at the vets again, but it must have been a huge relief when she woke from the anaesthetic and all her legs were still intact. They did the X-rays quite late in the day so when we rang up around 3:00 pm to check on her and see when we could go to collect her, Willow had only just gone into recovery and was still really sleepy. When we did go to pick her up later that evening we saw the vet who had examined the X-rays taken. He said that everything looked fine. The plate was still in place and there was no visible damage to the joint. It was agreed that the best course of action, considering the results, was to rest Willow for a couple of weeks to see in the limp improved. If she did improve over this time, then it would probably indicate a muscle strain rather than a problem with the joint itself. If she was still limping after this time, then we would have to consider further surgery to look inside the joint. We were told to give her limited exercise walking her for around 10 minutes 2 or 3 times a day. I have included the X-rays which were taken below. You can click on these to see the image in more detail.